The ancient origins of Narnia date back to 300 b.c. when the Romans settled in the Umbrian town, an important fortification for the construction of the Via Flaminia. But the atmosphere is the most medieval, especially vivid and charming during historical reenactment of Corsa all’Anello! 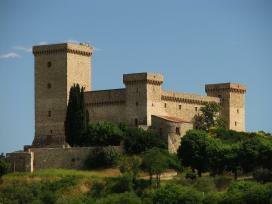 What are the most important things to do in Narni? Find out with our mini-guide! Our mini-guide is coming soon!